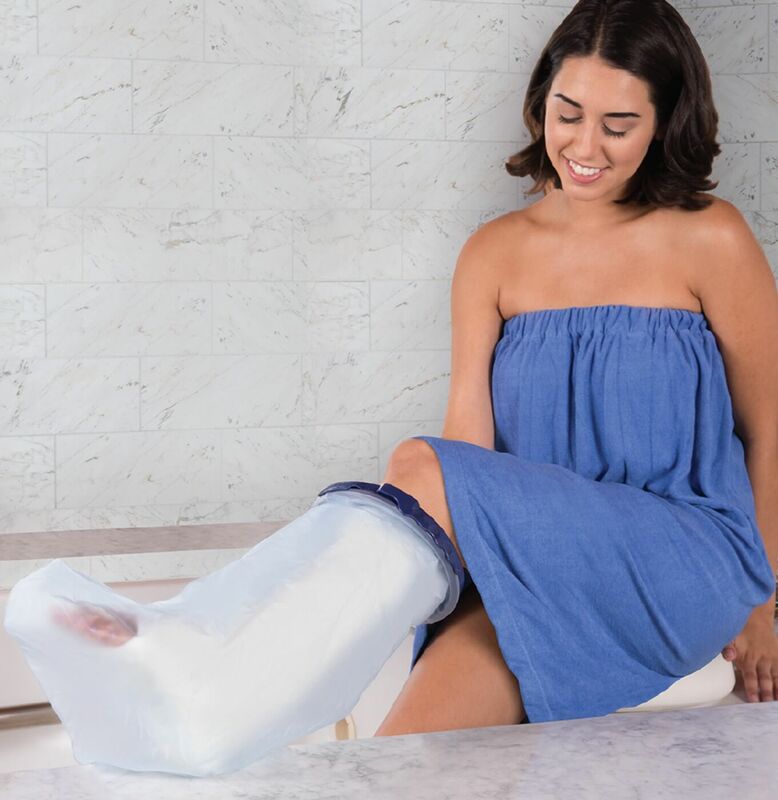 Recommended by surgeons and medics, a Seal-Tight Adult Short Leg Cast Cover 20103 will keep a leg cast, brace, splint or dressing dry while you bathe or shower. It’s a simple idea – a tough, polyvinyl cover keeps water off the cast. A latex-free, watertight seal below the knee allows easy fitting and removal, but prevents water from entering the cover. This is a “must-have” product for anyone recovering from a broken leg or surgery. Size: 23 inches (58cm) length and 21 inches (53.3cm) max circumference. Size: 23 inches (58cm) length and 21 inches (53.3cm) max circumference. has a rating of 4.8 stars based on 13 reviews. Keeping an arm plaster cast, bandage or splint dry while showering can be a serious problem. The .. The Seal-Tight Waterproof Foot/Ankle Cast Cover 20105 is an essential aid for anyone with an ankl.. The Seal-Tight Waterproof Long Leg Cast Cover 20104 for legs is the perfect solution to showering.. The Seal-Tight Sport Active Seal - Adult Short Leg 20322 is the perfect solution for keeping casts..